Decorating a garden to create a prefect outdoor environment based on personal style and needs is easy with the help of one of the world’s leading manufacturers of luxurious outdoor furniture. Aside from tables and chairs, Unopiù also produces beautiful and highly stylish benches and sofas. Creative garden benches are great additions to outdoor décor where they are very useful in providing comfortable seating as well as interesting centerpieces for any garden design. Unopiù’s wide collection of luxurious garden benches can transform any outdoor living space. Moreover, garden sofas are also some of the trademark products of Unopiù’s highly-respected line of outdoor furniture items. The designs are truly inspiring and they provide the perfect solution for decorating the home’s extended living space. In addition, they are built in such a way that they provide great places for relaxation. These outdoor sofas will instantly turn an outdoor environment into romantic spots, great for enjoying the outdoors or for entertaining guests. They are available in varying materials such as solid teak which are paired with cushions that come in removable 100% Tempotest fabric. Rattan garden sofas are likewise available in various designs. These sofas come in different styles and size to provide the perfect solutions for luxurious outdoor seating. Creating a warm and welcoming atmosphere in the outdoors becomes an important part of any family’s lifestyle. As such, it is important to choose benches and sofas that are stable and strong. These wonderful outdoor garden sofas and benches by Unopiù reflect the quality of Italian design which are certified to last long. The designs are original and are very inspiring. 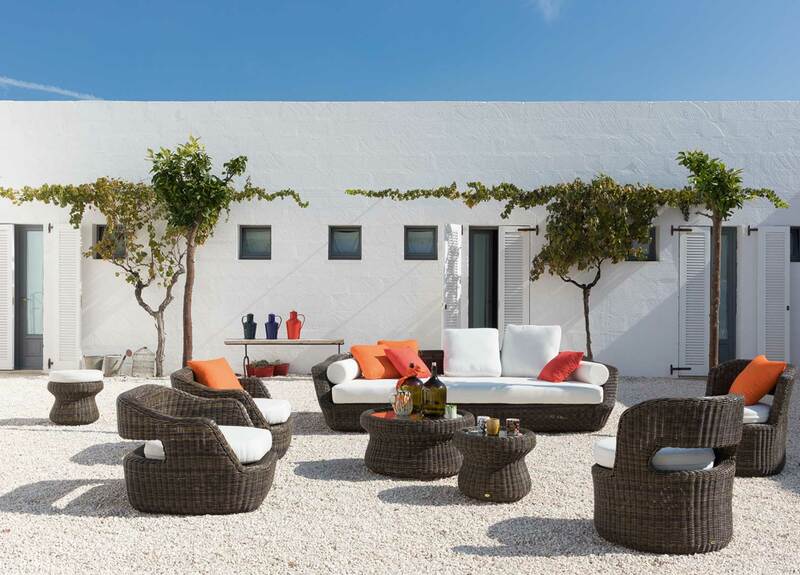 Unopiù’s patio sofas or rattan outdoor sofas focus on giving a luxurious look to every kind of outdoor area. They are positive contributions to any homeowner’s aim at achieving a stylish and cozy outdoor nook perfect for conversations and relaxations.